The thing about standing for an ideal is that people expect you to live up to it — or at least to their idea of it. Justin Trudeau built his leadership upon a set of ideals: “sunny ways,” cabinet government, transparency, openness, inclusion, reconciliation, gender equality and doing things “differently.” Trudeau’s commitment to nearly every one of those principles has been challenged by critics and rivals over the last two months — his commitment to feminism in particular, now that Jody Wilson-Raybould and Jane Philpott have been expelled from the Liberal parliamentary caucus. Outside the House of Commons on Tuesday, reporters pressed Trudeau and his ministers to comment on the government’s feminist credentials and the message sent to young women by the expulsions of two women who had become the prime minister’s prominent critics. So perhaps two male ministers, behaving exactly the same way, would have met the same fate. At the Daughters of the Vote event in the House on Tuesday — a biannual gathering that puts young women in the seats of MPs for a morning of speeches and discussion — some 50 delegates stood and silently turned their backs as the prime minister delivered his remarks. Trudeau acknowledged the obvious tension of the day, but then awkwardly tried to contrast the departure of two strong women with … the continued presence of two strong women. That women stood behind Trudeau’s decision to expel Wilson-Raybould and Philpott likely is not irrelevant. But maybe it’s not the prime minister’s task to pit them against each other. It’s likely not up to any one person (certainly not me) to say whether Trudeau is a good feminist. But if there was any solace for Trudeau in the Commons yesterday, it was in the fact that all 338 of those young women — even the ones unhappy with him — stayed in the chamber as he spoke. Moments prior, several dozen delegates simply walked out on Conservative Leader Andrew Scheer’s speech. Trudeau tried to make the case for his own feminism, or at least for his government’s commitment to the ideal: a development assistance policy aimed at women and girls, gender-based analysis of budgets, legislated pay equity, funding for women’s organizations and a gender-balanced cabinet. Then the prime minister offered a bit of meta commentary. Perhaps there’s some solace there too. The struggle between Trudeau and his ideals has been real. 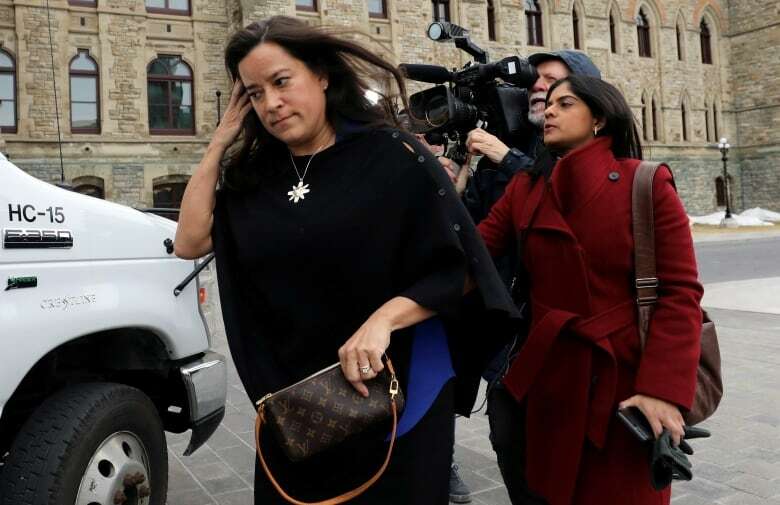 He waived solicitor-client privilege and cabinet confidentiality to allow Wilson-Raybould to speak about her time as attorney general, but she objected that the waiver did not go far enough. Liberal members of the justice committee were apparently free to look into the SNC affair, but then the hearings were abandoned. In both cases, Trudeau probably went further than Stephen Harper would have gone. But in neither case did he go as far as he could have. In vowing to do things differently, he raised the expectation that — when confronted with a profound challenge — he would be perfectly forthcoming, without regard for the normal political impulse to control the narrative and limit the damage. In appointing the first Indigenous minister of justice and attorney general, he put an incredible burden on himself and his office to ensure both her success and a good working relationship between them. That made the possibility of moving her, or demoting her, a daunting prospect. For all that, Trudeau might now fall back on what he’s been insisting all along — that neither he nor his office did anything wrong (the claim that they did is at least in dispute) and that their cause (saving jobs) was just. Wilson-Raybould says she told Gerry Butts, Trudeau’s former adviser, that the Prime Minister’s Office was inappropriately pressuring her. Butts disputes that claim. Wilson-Raybould did raise a concern in a phone call with the clerk of the Privy Council, Michael Wernick. But Wernick seems not to have told Trudeau about what she said. Liberals will also argue that they had perfectly valid reasons for wanting Wilson-Raybould and Philpott gone from caucus — starting with the fact that, at the very least, they had reasons to believe they no longer all shared the same goal. But Trudeau and his fellow Liberals must understand the symbolic value of everything that’s happened with the SNC-Lavalin file. Two impressive women now sit outside the Liberal caucus. We’re still waiting on an ethics commissioner probe; the facts have not been fully and completely aired. Maybe his political opponents weren’t complaining in good faith. Maybe nothing would have satisfied them. But the last two months will still weigh down any attempt by Trudeau to lay claim to those ideals. Trudeau must hope that giving voice to those ideals, and his pursuit of them, still count for something, even if he has not always fully embodied the ideal.